Citicore Power Inc.’s 25 MWp Silay PV Power Plant in Silay City, Negros Occidental, Philippines, was energized (power dispatch) and commissioned on February 23, 2016, rendering it eligible for available feed-in tariff incentives. Citicore Power tapped sister unit Megawide Construction Corp. as the construction contractor for the project with Conergy serving as the engineering, design and component provider. Project funding was secured through Land Bank of the Philippines. 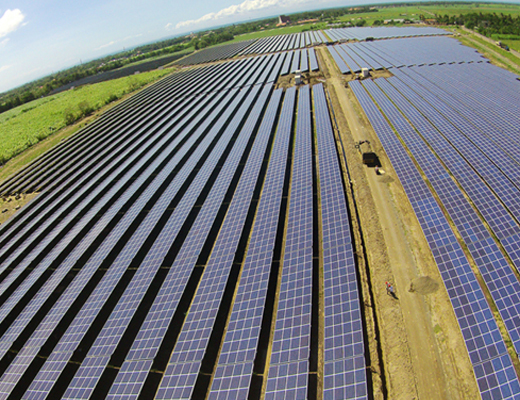 Located next to the Bacolod-Silay International Airport, the 25 MWp Silay PV Power Plant will produce some 25,338 MWh per year of emission-free solar power, offsetting about 21,550 tons of CO2 and powering more than 25,000 average Philippine households annually. The Silay PV Power Plant has been installed turnkey in just 112 days, counted from “first pile in” to “first power out”.